Hit the Beat--New Products--GAME PLUS LTD.
1, More Cartoon elf, rich in character selection. 2, The rhythm of the cheerful music songs, suitable for all ages. 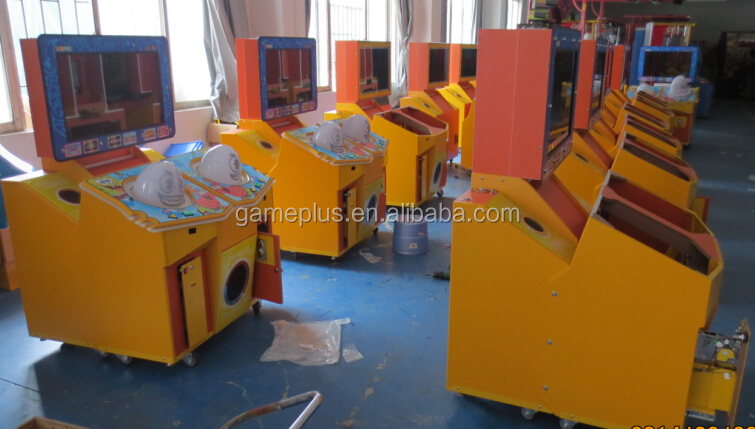 3, Available for two people play mode, enjoy the pleasure of compete. 4. There is the function of the ticket. 1. How long is the Lifespan of your product? Generally it’s about 3-5 years according to the maintenance of product. how to install and how to mend. 3.Could you provide interpreter for us? We could provide the English interpreter for free. 4. How long will it takes to deliver items from china? by sea,3-7 workdays by air. 5. Could you helpto reserve a hotel if we come to visit your factory? We could help to reserve a hotel and pick up customer at airport or hotel. Mail:Emily@gameplus.hk Technical Support:Cuovi Advertising Inc.